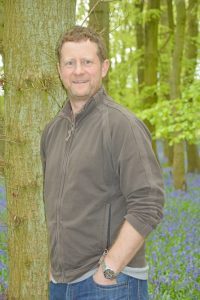 I am a landscape designer and owner of The Garden Company Ltd in Hertfordshire. We design and build gardens for clients’ homes and also for businesses. My job is to meet clients, understand what they want, produce drawings with my design team and eventually manage teams to build amazing gardens. As a child I learnt a lot about nature, plants and wildlife from my parents and grandparents. We lived in a lovely Cotswolds village. I studied landscape design and construction at college, during which time I spent a year working in the USA. My first job was in London as a landscape designer and manager. After a few years I decided to set up my own business and The Garden Company (www.thegardenco.co.uk) has ‘grown’ from there. I love to see people enjoying being in the gardens that we have built. This includes school projects where we involve the children in creating places to play and learn. I also feel privileged to work so closely with nature. My favourite gardens are those where we draw on the natural environment, creating havens where people relax and unwind. And I love being my own boss! The weather can be challenging – our teams have to cope with all types of conditions. There is also a lot of juggling required to keep all of our clients happy at the same time. Sometimes I wish for an extra day in the week. You need to be interested in the outdoors, highly practical and great at communicating with others. Budding designers need to be creative and to develop technical drawing skills including the use of CAD (computer-aided design). For construction and maintenance jobs, you need to be reliable, hardworking and a great team worker. To work as a professional designer, a degree in landscape design or landscape architecture is important but not essential. All designers should aim to become a Registered Member of The Society Of Garden Designers. 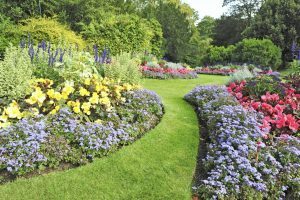 Colleges offer a wide variety of horticultural courses if you are more interested in being hands-on. Work experience is often available in the busy summer season and is a great way to demonstrate your commitment.